You'll be the first to enjoy the enticing aromas of breakfast in the Delaware, which sits at the back of the inn, overlooking the backyard. 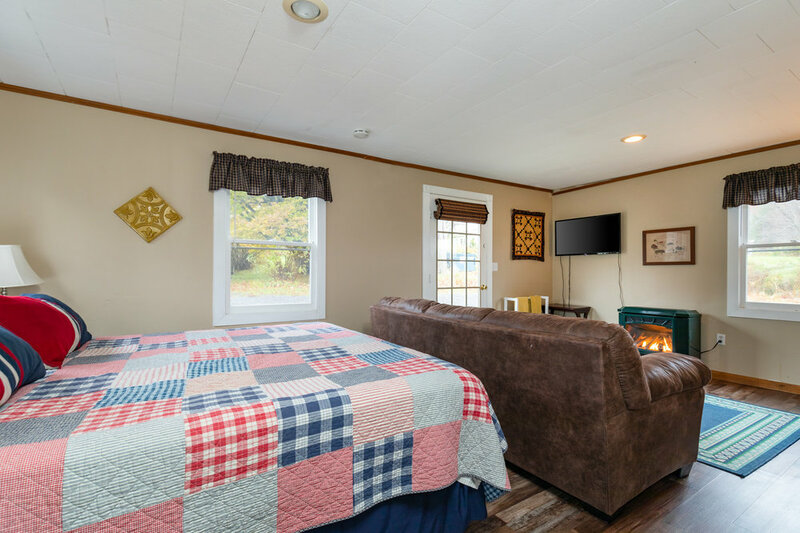 This room has a king-size bed, sofa, gas fireplace, TV/DVD player, and private bathroom with an antique claw-foot tub. 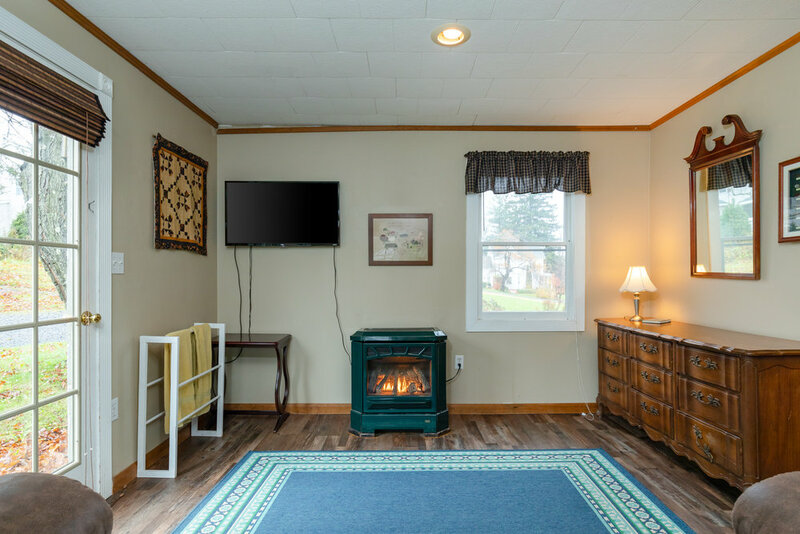 It’s our only room with a private entrance, making it especially easy for families or those traveling with pets. (The Delaware is the only pet-friendly room within Catskill Lodge.) It’s also the most accessible room for guests with limited mobility. There is plenty of room for a portable crib or cot (provided free of charge). There is a $25 per-pet, per-night fee, and a maximum of two pets. Rates start at $159/night + tax.